There was no name, no phone #, nothing else. It was not from an email address that I recognized so our response was pretty generic. I didn’t mean to be flippant with my response but right now my crystal ball is not working and I couldn’t read this person’s mind without just a bit more information. Travel agents don’t just pull pricing out of the sky without a good amount of research so if you truly want more information, please give us your name and phone # and we’ll get in touch with you. 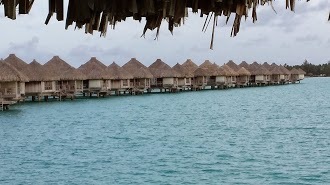 Just in case Mr or Ms YG1203 wants a bit more info on Tahiti, this is a good place to start. If you want info on how long your vacation should be, this article says that you need a minimum of a week to get the full effects of a vacation but in our opinion, if you are going to the Tahitian Islands, it would be a shame not to enjoy multiple islands so we really would recommend 10 nights. My Vacation Lady prides ourselves on providing personalized service and helping our clients plan a great honeymoon or vacation experience but we do need just a bit of information to help us start our research.